The Mercedes E-Class in hearing-aid beige. It’s the de facto taxi in Germany, with hundreds of them lined up outside the airport. Head back to the UK and there’s a pretty high chance that you’ll end up in the back of a Toyota Prius. Cabbies (and, seemingly, Uber drivers) recognise the fuel saving benefits and easy driving characteristics of the sleek hatchback, but Toyota is hoping that the latest fourth-generation model will appeal to company car drivers and private individuals, perhaps enough to tempt them out of thirsty executive cars. Initially you worry that Prius 4 is simply relying on some ‘interesting’ design, borrowing as it does a lot of sharp edges and bold lines from the hydrogen-powered Mirai. It’s certainly not a beautiful car to look at, but it does grow on you as you spend time with it. Step inside and it’s almost as bold again, but toned down just enough to avoid being an irritant. A wide, centrally mounted instrument panel dominates the driver’s view, while a HUD directly ahead shares speed, direction and eco-driving information. The centre stack houses an impressive touchscreen system that pretty much controls everything in the car. The new body leaves plenty of room up front, and there’s just about enough room in the rear to accommodate a couple of adults. However, that roofline, all swoopy and low as it goes farther back, eats into headroom and makes entry and exit a tad more difficult than it could be. As with every Prius though, it’s what’s under the bonnet that really counts. Here you’ll find another development of Toyota’s hybrid system, encompassing a 1.8-litre petrol engine that’s been heavily re-engineered to provide better economy, along with an electric motor and 1.31kWh battery. 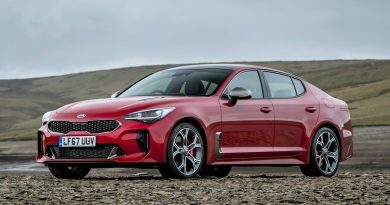 These work together better than previous models, producing a combined 121bhp while promising to return as much as 94.1mpg. Looking at the power figure first, arguably the least important of the two measure, that translates to a 0-62mph time of a rather pedestrian 10.6 seconds. However, the combination of two propulsion systems actually make the Prius feel far more sprightly, especially in city traffic where the instant torque available makes it surprisingly brisk. While it rockets away from the line, but the time the Prius hits 30mph it all starts getting a bit steadier. Keep pushing and, eventually, the car should reach 112mph. When you want to bring the speed back down, you’ll find that there’s a hesitation as the speed drops off and braking forces switch between energy recouping regenerative braking and good old traditional discs. As the amount of braking force changes as you slow, something that is exaggerated at low speeds, it makes smooth stops a bit more challenging. 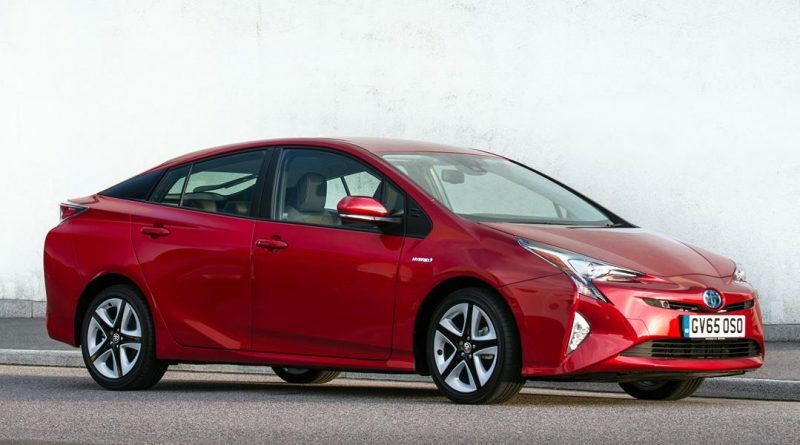 Keep the speed up and treat the Prius like a race car, something you might be tempted to do thanks to its sporty-sounding double wishbone suspension at the rear, and it all goes a little bit wobbly. Throw it into a corner and tyre squealing understeer arrives alarmingly early, as if it’s there intentionally to remind you to calm down and start treating it as the eco motor it claims to be. Listen to the advice and that’s when the Prius shows its best side. The engine drifts away to a quiet rumble thanks to the CVT gearbox reducing revs to the minimum required (the upside to the incessant whine when accelerating hard) while its eagerness to switch to pure electric driving means it’s only tyre and wind noise that will interfere. That wedgy, angular shape keeps wind noise to a very low level. Surprisingly, it’s one of the most aerodynamic cars on the market, which also helps economy. Of course, it’s the economy that is the reason for the Prius to exist in the first place, the original being a proving ground for hybrid technology. Toyota has worked hard to ensure the new Prius is as efficient as possible, boasting that thermal efficiency is as high as 40% – nobody has any idea what that means, but it’s better than anything else on sale and not far shy of what is achieved in Formula One. That’s achieved with all manner of high-tech gadgetry, from exhaust heat recovery systems to resin coated bearings. the net result is a CO2 figure of just 70g/km and economy as high as 94.1 mpg, assuming you’re on the 15-inch wheels. Driving a reasonably hilly route on the 17-inch wheeled model, I averaged an impressive 85.6mpg without trying too hard. Driving gently, yes, but not at the expense of actually getting anywhere. Real world economy is very good then, especially if you’re sticking to urban environments. The low emissions also makes for a strong business case, thanks to a BIK rate of just 11%, zero car tax and free entry into the London congestion zone. Even prices are reasonably competitive, with the entry spec coming in at £23,295. Yes, a similar Vauxhall Astra would be somewhere around £3,000 cheaper, but low taxation and running costs could make up that difference. Avoid the spartan Active spec and upgrade to the Business Edition though – the extra £900 adds a lot of useful equipment and avoids the cheap plastics of the base model. Ignore any sporting pretensions and the Prius is a cracking bit of kit, but there’s one immediate problem for the car. Toyota sell a hybrid version of their Auris, a conventional hatchback that is a little more spacious, more practical and a little cheaper. The Auris hasn’t got the latest developments though, isn’t as efficient, and lacks the design flair found in the Prius. Toyota will still sell them to Uber drivers by the bucketload, but now there’s a good reason to look at one yourself.